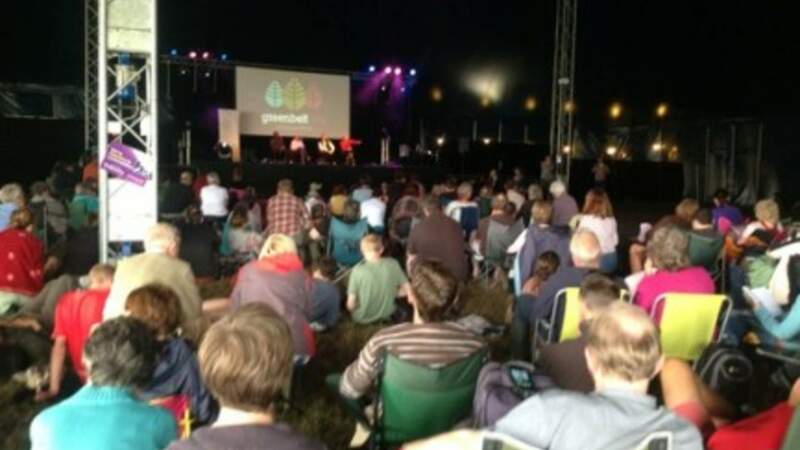 The Greenbelt Festival welcomed some 20,000 people to a stormy weekend at the Cheltenham Racecourse on 24th-27th August 2012. To a back-drop of thunder, lightening, torrential rain (and mud! ), the usual exciting mix of international speakers, music, art, performance, debate, and discussion took place, and Coexist played a significant part in enriching the festival with a new emphasis on multi-faith content and film. As Associate Partners, the show piece event took place on Sunday in the biggest arena – the Big Top. 400-500 people enjoyed a panel discussion entitled “Saving Paradise in Islam, Judaism and Christianity.” Cambridge Coexist Programme Director, Michael Wakelin, introduced the event, featuring Dr. Raphael Zarum (London School of Jewish Studies), Dr. Michael Battle (Duke University and Virginia Theological Seminary), and Abdul Hakim Murad aka Tim Winter (Cambridge University). After individual presentations from the three panelists, the three academics fielded some tough questions from the audience. The panel was chaired by The Rev. Dr. Fiona Howarth. Coexist also sponsored a talk entitled “What fruit did Adam and Eve eat in Eden?” by Dr. Raphael Zarum (which included some food tasting and some surprising revelations) and a workshop on radio broadcasting, in association with TBI Media. Coexist also participated in three events in partnership with the Insight Film Festival. Some of the winning films from 2012 were shown to an appreciative audience. 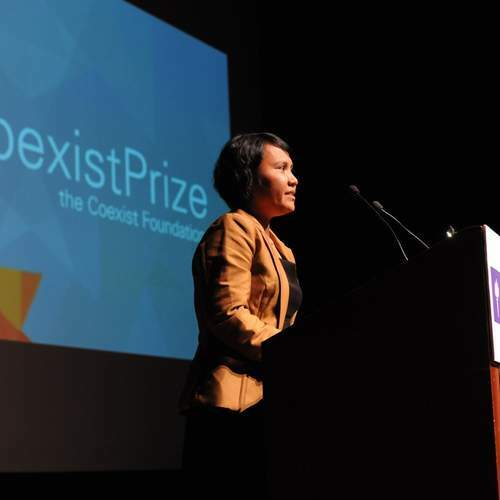 Coexist also launched the Greenbelt Award, which will be presented at the 4th Insight Festival in 2013. For more details please click here.